C&F Mortgages’ sole purpose is to provide contractors and freelancers access to mortgage borrowing. We help self-employed people get onto the property ladder where the High Street fails. HMRC tax breaks afforded to limited company business owners are amazing compared to working via PAYE. the tax breaks that HMRC affords contractor companies are amazing compared to working ‘PAYE’. These are great strategies for tax planning. But they also cause major problems for High Street mortgage advisors. As an independent professional, you’ll incorporate a limited company to act as your payment structure. That will include registration and taking out necessary contractor insurances. You may need indemnities and protection cover to ensure you’re protected as a business. Once done, for all intents and purposes you’re a personal service company. As such, you need an accountant to keep your business tax compliant. This will include staying in IR35 teams’ good books. All good so far, right? Your accountant will ensure that your net take home pay is low. They do this to ensure that you pay just enough NICs to qualify for state benefits. You’ll then retain the rest of your income in the business. For long term prosperity and immediate cash-flow, such tax efficiency is a superb tactic. But take this ‘proof of earnings’ to a High Street mortgage lender and the opposite is true. They first look at your take home pay. Then they see the amount your want to borrow. Your application crashes and burns right there. The in-branch advisor will mark your application ‘high risk’. And, nine times out of ten, their underwriter at head office will appraise you on that basis. That’s where we, as an independent mortgage broker of some renown, can help. There are several companies, both online and off, offering contractor and freelancer mortgages. Some are affiliates, some work with a panel of lenders and others work with all comers. We don’t subscribe to any of those models. We are a whole of market, independent specialist broker. We work specifically with limited company entities because their unique status demands extra attention. This focus has helped us hammer out deals with underwriters that cut out the High Street all together. With the best will in the world, an in-branch IFA will never ‘get’ taxation like your accountant. We know that, you know that and so do underwriters. So why put them (and you) through that pain barrier? There’s no need. 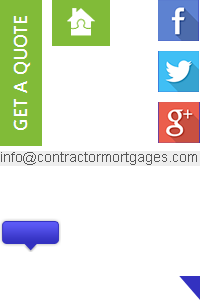 We use your contract rate as the basis of your mortgage application. This is true of umbrella company workers as well as independent professionals. A CV, bank statements and proof of ID are often all else you need. I know. That’s not what a member of staff at a local branch has told you. It may not even be what your peers have told you. But this is how contract-based underwriting works. Underwriters will consent to look at your application, but only if it’s packaged in a certain way. They don’t want us to send them irrelevant paperwork they have to scour through to find out what you’re worth. That means NO Trading Accounts, Pay slips, P60’s, SA302’s or Tax Returns. Whichever type of self-employed professional you are, we want to help you. Getting onto or moving up the property ladder needn’t be hard work. It’s nowhere near as complicated as most High Street lenders make it. But you do need someone on the end of the phone who knows what they’re talking about. All our advisors understand contracting and freelancing because they live that life themselves. That connection, that understanding – that is the C&F Mortgages difference. And it’s waiting to work for you. Here’s what you need to do next. Simply call us on 0208 421 7788 or click on our Request a free quote button below and we’ll start searching for the best contractor mortgage for you. How much can I borrow on my daily rate? Find the Best Mortgage to Suit Your Contractor Status! Going direct to the high street is frustrating and often a time wasting. You’ve come to the right place if you’re a contractor AND looking to secure a mortgage. First Time Buyer I’m a First Time Buyer and a contractor, Can I still get a Mortgage? Moving Home Moving house but worried you can’t get a Mortgage now you’re a Contractor? Remortgaging Can I still remortgage my home now I’m a contractor? Buy to Let We make buying an investment property EASY for Contractors? Critical Illness Cover Are your earnings protected if you’re unable to work? Your home may be repossessed if you do not keep up repayments on your mortgage. Financial advice is given by C&F Mortgages, which is a trading name of Mortgage Quest Ltd and is regulated and authorised by the Financial Conduct Authority no 312484 . Not all products are regulated by the FCA e.g. buy to let mortgages. This website and its content is copyright of Mortgage Quest Ltd. © 2016 C & F Mortgages for UK Contractors & Freelancers. All Rights Reserved. Contractor Mortgages for UK Contractors & Freelancers. © 2019 C&F Mortgages. All Rights Reserved.